Pet photography allows us to combine a love for animals with your technical skills. Taking photographs of animals can be challenging, and you’ll need a lot of patience. Pets can naturally become confused when we ask them to do something or can become excited in their environment that it’s difficult for them to sit still. It is essential to grab their attention, keep them relaxed and reward them for their behaviour if you want to be successful in your pet photography. There are a few things to consider when taking photographs of pets. You can use any camera to take photographs of pets; however, a DSLR or compact system camera will give you more creative control. There is no specific lens for pet photography, which makes options easier when you are choosing your lenses. Both prime lenses and zoom lenses will work well. Bear in mind that with a 35mm or 50mm prime lens, you will need to get much closer to the animal. A standard prime such as the 50mm is an excellent choice for proximity pet portraits. With a zoom lens, you can shoot from a distance, and these are good for action shots. A prime telephoto lens also may restrict you regarding getting into the right position when composing a moving subject. Flash is generally not a good idea when photographing pets. As with people portraits, it can cause red-eye and can be frightening for animals, so keep things natural. Open the aperture to let more light in instead and increase the ISO if needed. If photographing inside, use a room where there’s plenty of natural light so you can achieve an adequate shutter speed (1/125th-second or faster) without having to push ISO too high. Your camera will manage high ISO noise effectively, but only up to a point. So, if you see your images exhibiting high levels of grain, that may spoil the presentation of your subject. If so, move into the light. Tripods generally get in the way when photographing pets, as animals move so quickly, though if you find camera shake a problem, a monopod can be useful for action photography to steady and pan the camera for moving subjects at a distance. You need to work fast in pet photography. Animals move very quickly so you will need to avoid blur in your photographs. Aperture priority mode or shutter priority mode is a good choice when you do not want to go full manual. Aperture priority mode will give you enough flexibility to be creative and will provide you with more control over your depth of field, however, do check regularly that your shutter speed hasn’t fallen too low. Using shutter priority mode will give you full control of your shutter speed, and it is essential to have a fast shutter speed to capture movement. If you are feeling confident, then you can always manually expose and have full control over all of your settings. Avoid auto or scene exposure modes as it gives you no control whatsoever. A shallow depth of field provides impact, however, be careful of blurring the animal’s nose. If this happens, look to increase your f-stop value. Animals are unpredictable and move quickly, so a fast shutter speed is essential. Your focal point is vital to enable sharpness. Try to focus on the eyes, and as in human portraiture, the pet’s eyes should always be as a sharp as possible. If the available light is low, increase your ISO. A little bit of noise is better than an out of focus photograph. Animal fur can be difficult to expose for, particularly if you are photographing a black or white pet. Your meter will try to turn blacks grey or try to underexpose whites. You can use exposure compensation to avoid this. The tone of the animal’s coat will also affect the way the camera judges the exposure. For example, a black cat’s fur may fool the camera into applying more exposure, but this will lead to grey tones. Therefore, set negative exposure compensation. Conversely, a white cat’s fur may fool the camera into under-exposing also resulting in grey tones. Therefore, set positive exposure compensation. For high contrast lighting with your pet against a bright background, consider spot or centre-weighted metering to bias the exposure reading on the light reflecting from the subject. As you manage the exposure of your subject, use the histogram function on your camera along with the highlight warning function to ensure you’re not over-exposing highlights and losing crucial tonal detail. As with people portraits, the portrait’s composition is important and provides more impact if you make use of your rule of thirds. For maximum effect, you can fill the frame with your subject, or choose to include some background, but ask yourself as you photograph them, does the environment add to the story? Try not to include anything that will distract from the animal. Choose a viewpoint that suits your subject, experiment with angles and vantage points and as with any portrait, try to compose for the eye and body placements. Candid shots are all about capturing your pets natural behaviour. This could be of them sleeping, playing, exploring etc. This approach is less challenging than a posed photograph, but you’ll still need to be patient to capture them at the right moment. 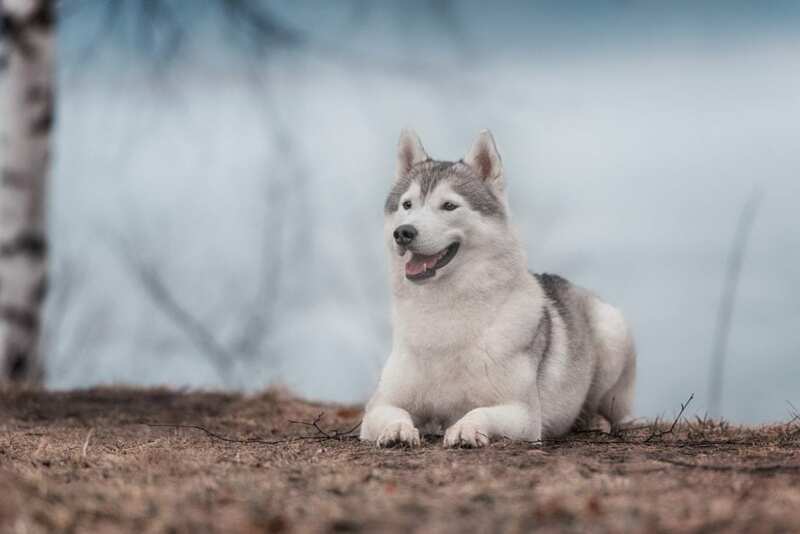 Posed shots involve a bit more planning, and you may want to take your pet to a specific location and place them in a particular spot and try to get them to look at the camera for eye contact. Whichever you choose, try to capture your pet’s character. 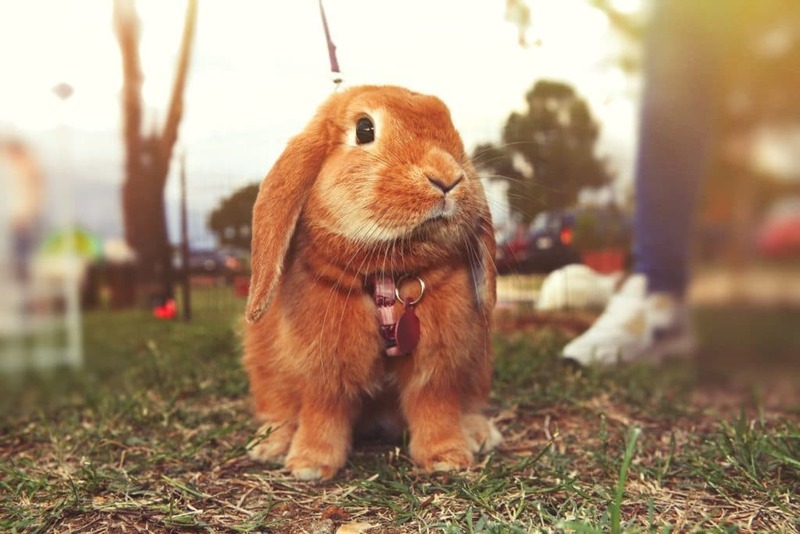 Plan the portrait by identifying characteristics about your pet’s personality that defines them. That list will help to inform the way you choose to present them. So, while you may want the final image to appear spontaneous and natural, forward planning will enable you to strengthen the ideas conveyed in the final composition. 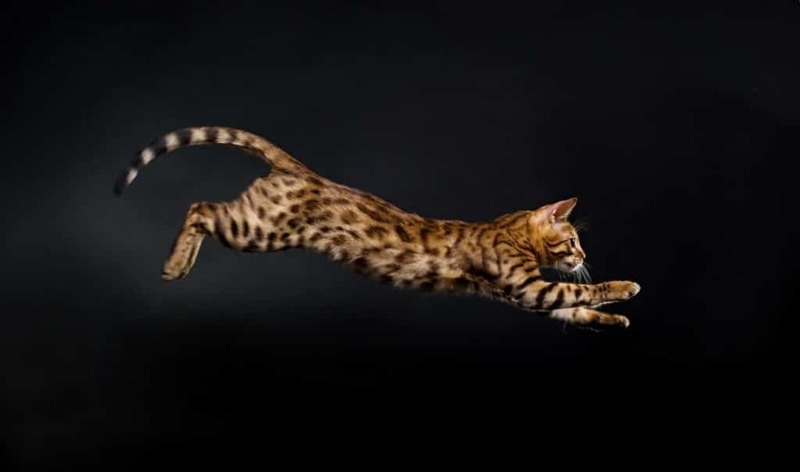 Action shots are one of the most technically difficult images to capture since the plane of focus changes regularly, but action shots with pets can give you some funny and interesting results. 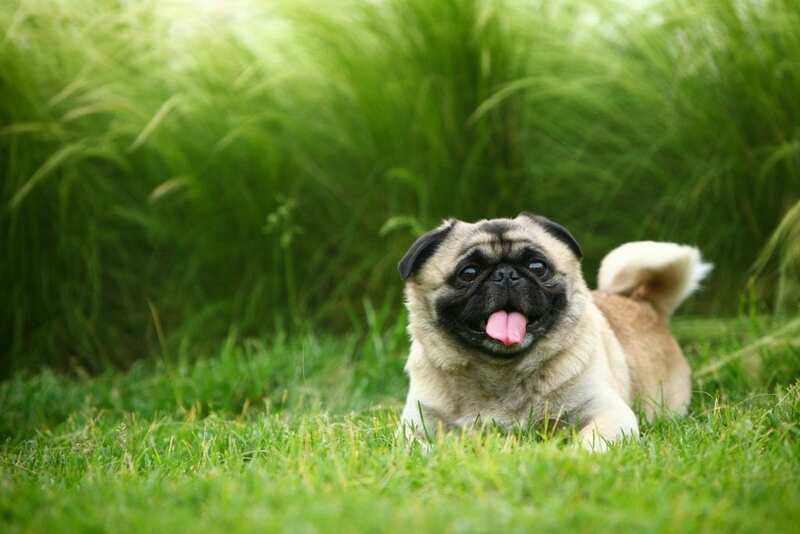 If you want to capture your pet running or playing, a fast shutter speed and excellent autofocus are essential. Use a medium-long lens to be able to track and shoot the action and use continuous AF mode to enable focus on your subject at all times. Use the high burst setting to enable you to fire off a rapid sequence of exposures. In that sequence, you’ll have more choice when evaluating the images later on. The best frame may come within a fraction of a second of one before or after it. To maintain control over where the camera is focused, select one-point AF. This will put you in the driving seat of where on the subject focus is achieved – on the eyes, for example. If we set the camera to choose the AF area for us, inevitably it will make mistakes and could focus on the wrong area. Be prepared to take many many photographs before getting the one you want. This takes a lot of practice and a bit of luck on which direction the pet runs and where your focus falls. 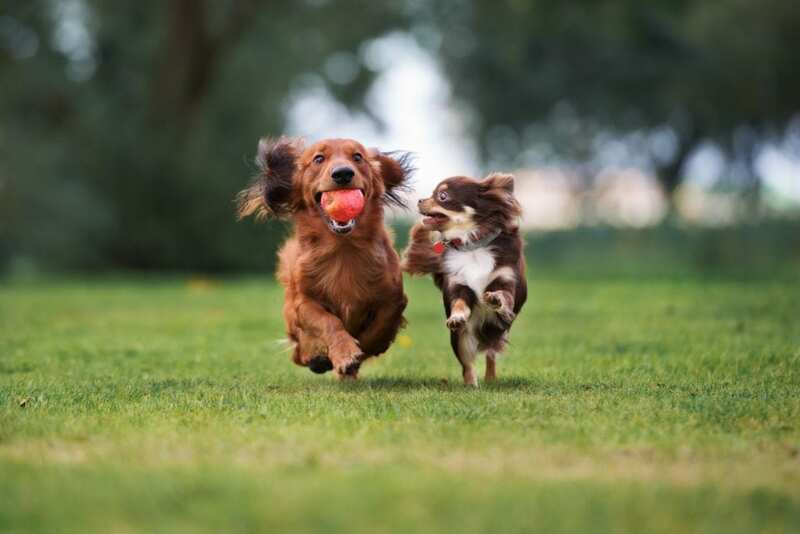 You may need someone to assist you with action shots, so have them throw a ball or call the animal towards you so as you can concentrate on taking photographs. Photograph the subject from their world. That may mean getting down low to the height of the subject when photographing close up. This will improve the coverage of the face and expression and give the portrait more engagement and impact. Focus on the eyes. As with all portraits, capturing sharp eyes is essential. Be careful when using a small f-stop that the nose does not blur too much. This is a common mistake, especially when photographing dogs. Often the eyes or the nose are out of focus because the photographer has not applied enough depth of field. For close-up portraits, be aware that very wide apertures may not bring all of the subject’s face into focus. Keep a neutral background. Find a good location that isn’t too cluttered. Indoors, this could be sofas, floors, or somewhere with a clean backdrop. Outdoors, grass can work well as a natural green backdrop. When photographing outside, be wary of strong shadows and big patches of highlights on the subject. Try and find diffused lighting to assist with exposure control. Make it fun for your pet. They can quickly get bored or have a limited attention span so keep them interested. If you don’t have your pet, ask a friend or family member if you can photograph theirs. It can be any pet – dogs, cats, small animals, even reptiles.